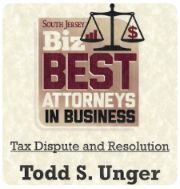 Todd Unger established a firm of tax lawyers and professionals dedicated to helping individuals and small businesses with their tax controversy issues. Todd Unger has managed to help residents in various states resolve their IRS problems as well as provide proactive guidance for businesses and individuals to prevent future IRS altercations. During his undergraduate studies, Todd Unger attended a study abroad program in London, England in which he completed a law internship. After the program was complete, Mr. Unger knew he wanted to practice law, but upon graduation, a friend introduced him to the world of finance. He began his professional career working at an international investment bank in a back office capacity. Although he wanted to pursue law school, he got swept away in the tail end of the roaring economy of the late 90s. Ultimately, he began working at an equity trading firm where he developed and executed proprietary trading ideas through research based on equity correlations, technical analysis, news, and key market indicators. While still remaining active in the market, Mr. Unger finally pursued his longtime passion of becoming a lawyer by attending law school. During law school, he saw an opportunity to combine his financial experience and law degree by developing a skill set in the complex area of tax law. Mr. Unger decided to further his education by completing a Masters of Law in Taxation. Upon graduating the tax program, he had worked as a litigation and estate planning attorney, but desired to focus exclusively on tax law. He stumbled upon the area of tax controversy when a friend needed help with years of unfiled tax returns. Eventually, he decided to start a private law practice devoted exclusively to representing individuals and businesses needing IRS help. Unger received his undergraduate degree in psychology from the University of Vermont where he developed a foundation for understanding people and their actions. After working several years in the corporate sector, Mr. Unger sought his law degree from Nova Southeastern University Law Center where he began to develop a passion for tax law. 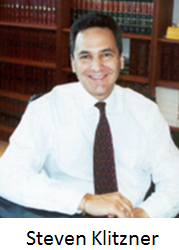 Upon completing law school, Mr. Unger advanced his education and pursued a Masters of Law in Taxation from Georgetown University Law Center. Todd Unger is licensed to practice in front of the United States Tax Court and is a member of the Bars of the State of New Jersey, New York, and Florida. He is a member of the American Bar Association (Section of Taxation), Camden County Bar Association, (Taxation Law), New Jersey Bar Association (Section of Taxation and Bankruptcy Law), New York State Bar Association (Section of Taxation) and a member of the Florida Bar (Section of Taxation). If you live in the New Jersey area and are experience an issue with the IRS, bankruptcy, or taxes in general, Call (877) 544-4743 or use the below to contact our professional attorney.